The segments are loaded with enough tension to produce quakes of magnitude 6.8 or greater, according to a new study. Three fault segments running beneath Northern California and its roughly 15 million people are primed for a major earthquake, including one that lies northeast of San Francisco and near the dams and canals that supply much of the state's water, according to a geological study published Monday. The three segments and one other in Northern California are loaded with enough tension to produce quakes of magnitude 6.8 or greater, according to a geological study published Monday, according to a geological study published Monday. They include the little-known Green Valley fault, which lies northeast of San Francisco and near the dams and canals that supply much of California's water. Underestimated by geologists until now, the fault running between the cities of Napa and Fairfield is primed for a magnitude-7.1 quake, according to researchers from the U.S. Geological Survey and San Francisco State University. The water supplies of the San Francisco Bay area, southern California and the farm-rich Central Valley depend on the man-made water system ferrying supplies from the Sacramento and San Joaquin rivers, noted James Lienkaemper, the U.S. Geological Survey geologist who was lead author of the study. The Green Valley fault is last believed to have ruptured sometime in the 1600s. VideoScientists Forced to Rethink the "Big One"
The study shows the state "needs to consider more seriously'' the earthquake risk in that area, Lienkaemper said by phone. All of the four vulnerable fault segments belong to the San Andreas fault system, the geological dividing line that marks where the western half of California shifts northwest and away from the rest of North America at about 2 inches a year. The other fault sections that have built up enough tension for a temblor with a magnitude of 6.8 or greater are the northern Calaveras and Hayward faults in the east San Francisco Bay area and the Rodgers Creek fault to the north, scientists concluded in a study published in the Bulletin of the Seismological Society of America. Geologists reached their conclusions partly through regular data readings that geologists and San Francisco State University geology students began in 1979 along fault lines. The tracking now features annual readings at 80 monitoring sites at 29 sections of faults in northern California. The surveys measure fault creep, movements of fractions of inches that slowly release strain on some faults. When no fault creep is recorded, a fault is considered locked, and stress builds until an earthquake unlocks it. Roughly two-thirds of the 1,250 miles that comprise the five major branches of the San Andreas fault feature fault creep, the study concludes. Northern California recorded its biggest earthquake of a quarter-century Aug. 24, when a magnitude-6.0 quake hit Napa, north of San Francisco. 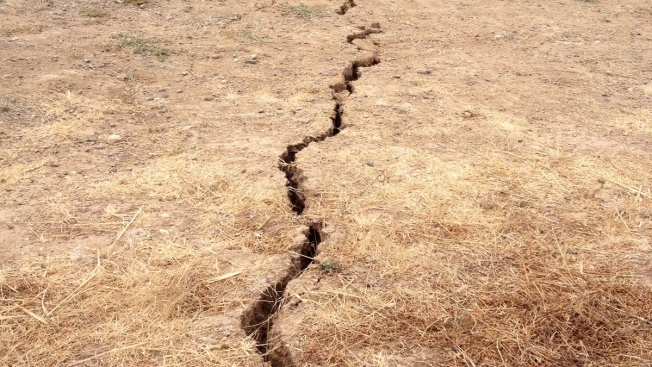 Seismologists estimate seven quakes of 7.3 magnitude or more have hit California just since the 1800s, most of them when the state's population was a fraction of what it is now.